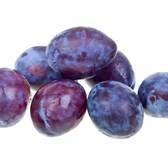 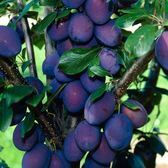 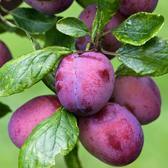 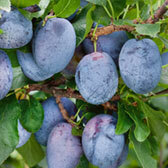 Plum trees are classified as one of the stone fruit family, because they contain stones (pips) at their centre. 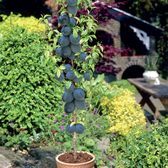 One of the juiciest fruits in the UK, Plums come in various coloured fleshy textures and are suitable for growing in any garden, no matter how large or small. 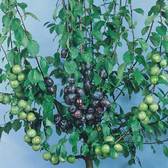 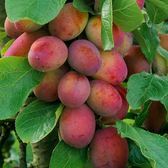 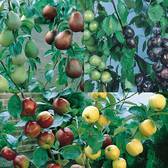 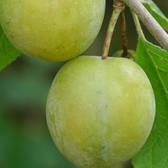 Our Plums are grafted onto St Julien stock, a root stock which is not strictly dwarf, which no Plum is, but are very easy to manage and grow. 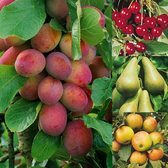 All varieties we sell are self-fertile and will produce fruit on their own, however cross-pollination does allow for larger crop results.